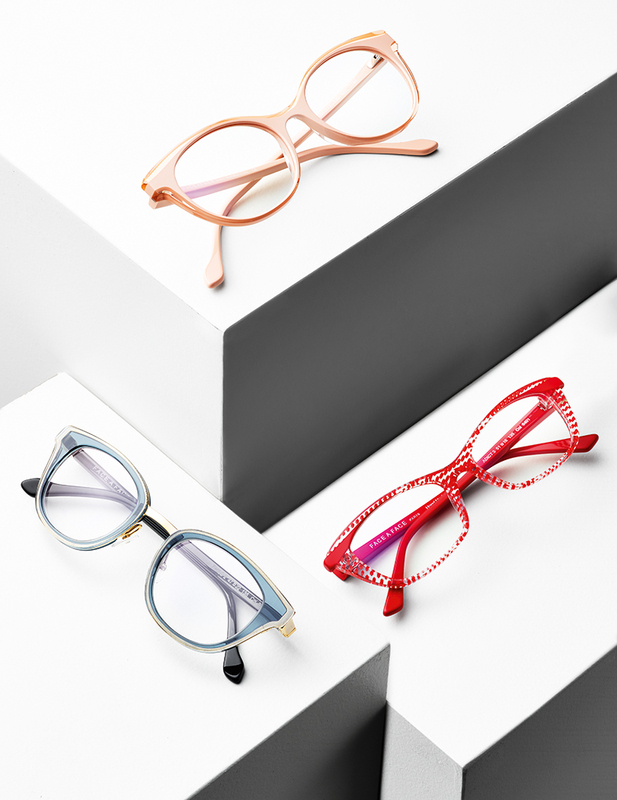 When it comes to brands with a clear market positioning, Paris-based label FACE Á FACE sets a shining example: Their playful designer frames can be found at select optical boutiques around the world as the darlings of a predominantly female audience. Out on the streets, the striking FACE Á FACE designs can be spotted instantly, not just because of their generous shapes but also their intense colorways. It’s no a “girls only” brand, either, as the line-up also features masculine models, supplemented by the in-house label ALIUM with a penchant for strong designs crafted from lightweight aluminum. Rounding out the offering, the two other labels in the portfolio of design company Architectures include WOOW and BOCCA, both with their own respective brand identities and design DNAs. For the inside perspective on the company, SPECTR follows art director and president Pascal Jaulent on a leisurely afternoon stroll around the winding alleys of his favorite neighborhood Le Marais. And to make this a truly unforgettable evening, the 56-year-old threw in a visit to the Picasso Museum, some real-life home cooking, and a historic timeline of the aristocratic district, all narrated while switching fluidly from English to German, and – forgetting our somewhat challenged vocabulary – to French. 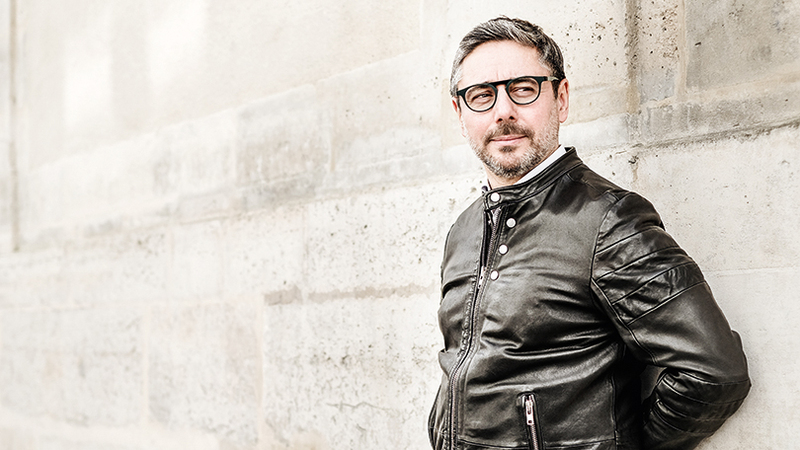 What a day, what a city, what a man… here’s our Design Walk and Talk with Pascal Jaulent. Pascal, it’s nice to meet you face-to-face in the Le Marais. Is this your favorite area? Indeed, Le Marais is one of the oldest historical areas of Paris and managed to retain most of its original flair. It has become a home for many artists, designers, craftsman shops, as well as small cafés and restaurants. We founded our company 21 years ago not very far from here and I try to preserve some of the neighborhood’s avant-garde spirit in our collections. Let’s start from the beginning: You studied economics and worked for big companies like Nestlé and Dior. How come you ended in the eyewear business? I liked working for Nestlé and Dior, but these companies were simply too big to me – too big for allowing a young guy to confront himself with what I thought could be the real business life. I left Dior after five years as the controller of the Maison de Couture. 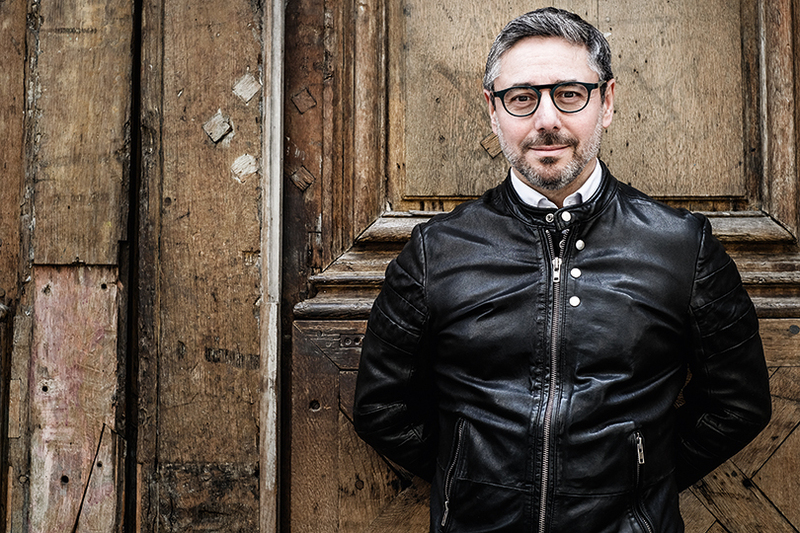 I had the chance to work as the manager of LAFONT, which gave me a chance of getting to know the eyewear market closer thanks to Philippe Lafont. And I loved this universe, as it is incredibly international, technical, fashionable, and above all, very human. Later on you started your own company. What was your initial motivation to do this? One of my passions is architecture, and modern architecture especially. When I tried to gain an understanding of eyewear design, I quickly realized the many parallels in the ways architects and eyewear designers go about their work. And I wanted to create a platform to live and express these insights. Is this parallel also the reason why you have chosen ARCHITECTURES as the name for your company? Yes, our company’s name ARCHITECTURES comes from this original concept, since before deciding our collection’s name FACE À FACE, I had to create the legal entity with a company’s name. In today’s fashion and design world, quite many people refer to architecture, but 21 years ago, that was quite a new perspective. 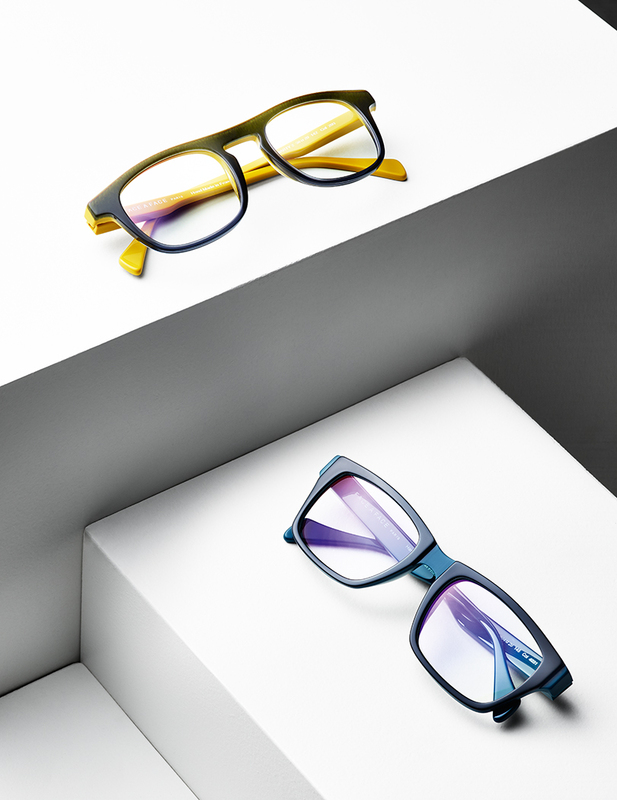 Speaking of today, there are many eyewear brands on the market, but FACE À FACE is holding a unique proposition. How would you describe it? FACE À FACE is about a modern, artful harmony uniting avant-garde concepts and shapes designed according to an in-house created golden ratio with emotional expressiveness. Many feminine shapes are designed to express seduction and audacity, men’s frames are shaped to express strength, for example. Keeping in mind that the process of choosing eyewear for yourself is an initial face to face, the brand FACE À FACE has a strong psychological background. Our eyewear is a piece for one’s temperament; a personal object meant to express more than words. Another essential dimension is the manufacturing: Ever since the beginning we have stayed true to our manufacturers in France and Italy, because a unique product gets its finish from a skilled and experienced hand. While talking about experience and keeping in mind that you have done quite a lot before you started the company 21 years ago – is it correct to assume that you must be well into your fifties? I am 56 now and the constant through these years has been that I am a very active person. I’m always ready for the next thing, since experience in a fresh mind is constant reminder of what is possible and exciting out there. Just an observation: You look much younger. After such a long time at work… what do you like the most in the eyewear business? The people. If you do not like people, don’t do this job. What exactly is your job at ARCHITECTURES? Besides running the company, I would define my job as Creative Director. These responsibilities include so much more than just creating a design for a simple frame. Design is about experimentation, challenging new horizons, a constant search for novelty. How many styles do you have to design over the course of, let’s say, one year? My team and I are designing more than 100 models every year. Why work with a team – is designing all these frames too much on your own? Of course! That’s why I am working with a wonderful internal team and some freelance designers, all very talented. But as a perfectionist, I go through every detail with every single one of them. Why do you think it’s important to work with freelance designers? Creation needs fresh air, new blood and freelance designers help me and the internal team to challenge the usual make and bring in some common sense, and good taste. Would you say that the eyewear design process is underestimated? Combining the technical commitments, the trend and fashion dimension, the newness of the concept, the human dimension, the unfailing ability of the eye to see any fault, all this makes eyewear design very demanding. But I do believe that everyone underestimates the sum of knowledge, skills, techniques, and talent required for any creation or production. Which design elements are the signature features of FACE À FACE? Many of our features can be found in the creation of architectural projects, including function, transparency, comfort, newness, art, aspects, colors, proportions. Going deeper into this, in what way would you compare the brand’s eyewear to architecture? The most conceptual answer would be: the fundamental approach to seeing eyewear as a project. Shaping your universe, shaping your look and personality. Which characteristics can be found in the glasses that resemble “French” design style? All of us are very cultural animals and I have to admit that I reproduce and filter all these elements that I have been raised and live with. It’s really all about Paris – a taste for the new and the beauty, a certain attitude, an expression of specific French cultural values for women and men, certainly a skill at creating a certain feminine ideal, also largely influenced by my Paris fashion background. Does this background also explain your well-known propensity for exceptional color-concepts? I am member of the Comite Français de la Couleur, a French inter-professional association active in color research, trends, symbolism. This dimension is extremely important in my work. Aside from colorways, what do you think sets your frames apart from others? What makes the brand so unique? I really hope that all the conceptual and creative elements that I mentioned in the interview amount to quite an interesting background. Would it be ridiculous if I tell you that I am trying to give a soul to the frames, a presence that will positively expresses the wearer and tell more than words? Ever since the founding of the company, what has changed style-wise? Maybe you can call it maturity. Would you say that at this point in time, FACE À FACE is a fashion label? I would be proud if I could give that dimension to FACE À FACE. Fashion is not futile; it does express your identity and lets you be part of today. It is essential, especially for young people. Fashion is youth. With your distinct styles and various colors… is FACE À FACE a feminine brand? Avant-Garde fashion, colors, aspects – all these are rather feminine values, whereas men tend to be more into technology, performance. That’s probably why we sell more women’s frames, and the offering of FACE À FACE is more known for feminine frames. But we are recently seeing a strong increase in men’s acetate frames. I believe strongly that creativity is equally a men’s and women’s dimension. Your line-up not only covers men and women’s eyewear, but also different aesthetics through a distinct selection of labels. Please explain the idea behind this multi-brand-strategy? Nadine Roth and myself have been working constantly on new stories, new collections. As a result, we have created three collections over the last five years: WOOW, ALIUM and BOCCA, all based on very different strategic concepts. What are the key characteristics of these three brands? Starting with ALIUM, since FACE À FACE is mainly selling to women, I developed ALIUM on the basis of performance, technology and an athletic spirit. 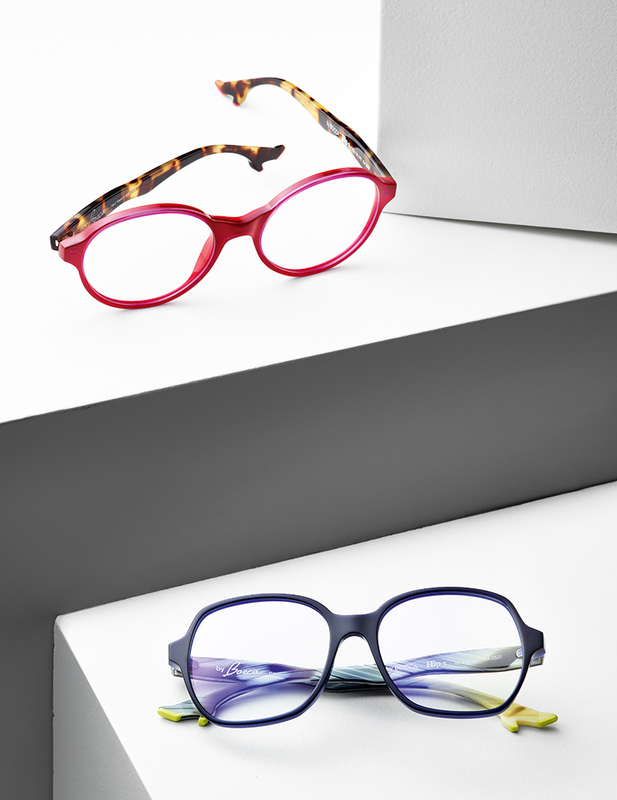 Alium frames are twice as light as titanium and feature exceptional flex hinges for comfort, backed by unique technical solutions for functional issues. And BOCCA was a follow-up to a creation project initiated by the magazine LYF, where I expressed the surrealistic MAE WEST sofa of Salvador Dali in eyewear frames. And I turned it into a reference product, a coup de coeur, a frame whose temples are in the shape of legs that provide a new dimension to the frame. With WOOW we aim to reach younger people. We created WOOW five years ago on a more graphic and fashion driven, simple design aesthetic. Frames are less expensive, yet colorful and produced according to high quality standards. It’s a strong and new project for our teams. All your frames are exclusively produced in France and Italy. Is that just for quality reasons? FACE À FACE frames are highly recognizable and the make is part of the tactile experience. This has led us to built from scratch a small factory for the finishing of our metal frames, which allows us to stay unique. Along the same strategy, we stayed true to our time-proven manufacturers in France and Italy. On that note, which countries love your products the most? Our main market is the US, where we make approximately 40 percent of our turnover. France comes at second with approximately 15 percent of our turnover. How do you explain the fact that your brands are so successful in the US? Our American opticians like to buy a concept, together with its origin, its coherence over the years, its quality and capacity to meet the general trends – not only fashion trends, but also lifestyle and what I would name the spirit of the time. Does that require running a separate logistics company abroad? We opened an office in San Francisco almost 18 years ago in order to service our American customers the best way. But we keep a central stock in Paris and all orders are shipped daily to everywhere in the world from this central stock. This provides us with a safe way to provide the best possible service on orders. The US also means Hollywood, are there any celebrities wearing FACE À FACE? Sandra Bullock, Ellen Barkin, Jude Law, Sarah Jessica Parker, Quentin Tarantino, Catherine Zeta Jones, Julia Roberts, and Susan Sarandon, among others. That’s quite a track record and surely a source of inspiration. What were the inspirations for your latest collections? Do they have themes? We drew on various sources of inspiration: the new media are key for the last sunglass collection, with models named »Twitt«, »Pixel«, and »Movie« for example. We also let ourselves be inspired by the graphic palette of the 1930s in Paris art circles for some optical models. Most of all, I let all of my centers of interest interfere and blend together. In what way are the new collections different to the previous ones? New collections are always bound to be different. The creative process is never-ending and follows the rhythm of the world. But they will also always remain true to our spirit. 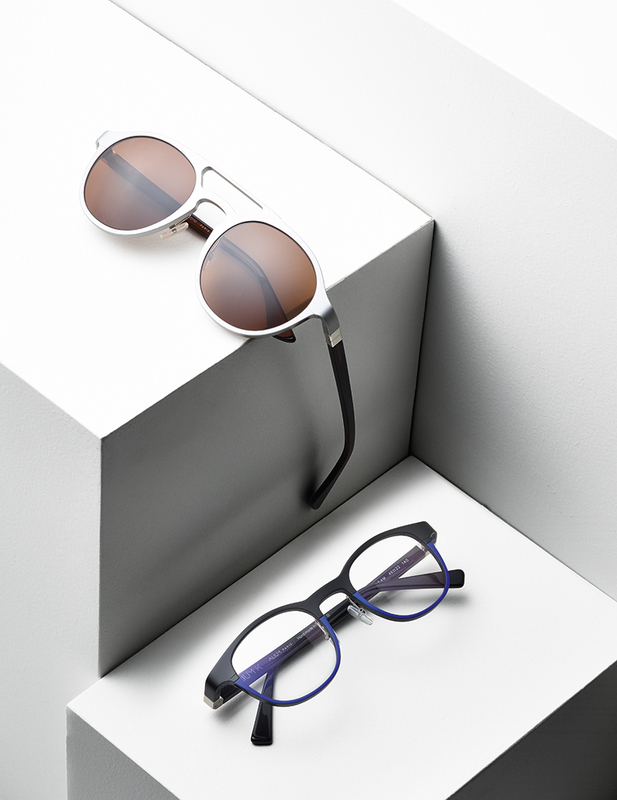 And in closing, what are your personal eyewear trends for 2016 ? Refined and bold, subtle and expressive of a Paris chic at the same time. A complex and exquisite time, much like this interview (laughs). Thanks for your insights and the tour of le Marais.